Size	 Choose an optionExtra Large - Circumference: greater than 14.5"Extra Small - Circumference: 9" to 11"Large - Circumference: 13.5" to 14.5"Medium - Circumference: 12.5" to 13.5"Small - Circumference: 11.0" to 12.5"
The Full Ankle Helix compression sleeve provides compression to support the ankle ligaments, Achilles tendon, and arch of the foot. This compression sleeve is ideal for the diagnoses of acute ankle sprain, acute ankle strain, Achilles tendonitis, plantar fasciitis, or arthritis of the ankle. The sleek, simple design fits comfortably inside your shoe and takes pressure off the sensitive ankle tendons which may have been injured from overuse or acute strains. 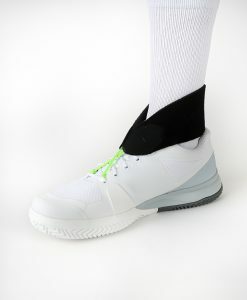 The Full Ankle Helix Compression Sleeve provides compression in a sleek, simple design that fits comfortably inside your shoe and provides support to the ankle ligaments, Achilles tendon, and arch of the foot. This elegant, effective ankle compression sleeve also takes pressure off the sensitive ankle tendons which may have been injured from overuse or acute strains. The Full Ankle Support Helix utilizes Form-Fit Technology and is made from our reinforced Super Stretch material. The product will not absorb excess water, bacteria, or odors. 100% Machine Washable. 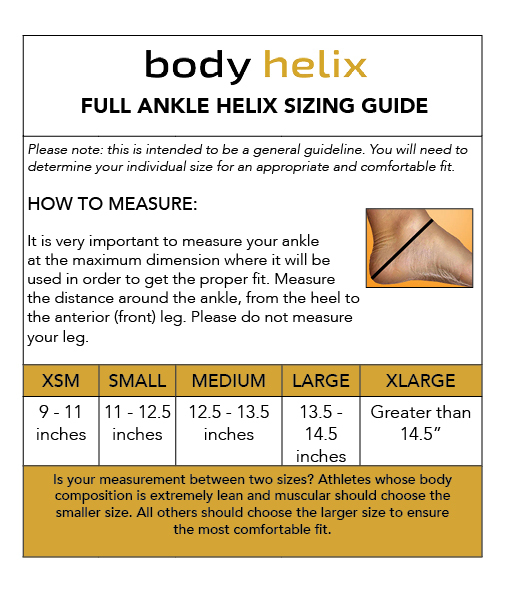 It is very important to measure your ankle at the maximum dimension where it will be used in order to get the proper fit. 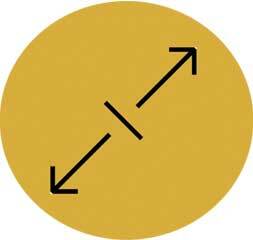 Measure the distance around the ankle, from the heel to the anterior (front) leg. Please do not measure your leg. If your measurement is in the middle of two sizes you will want the smaller size if you are a lean or muscular athlete and the larger size if you are not lean or muscular. Please see the X-Fit Ankle Helix for a comparison. 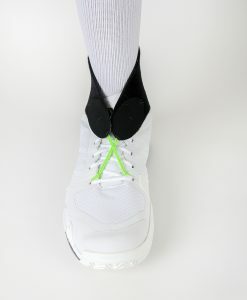 The X-Fit Ankle Helix provides support in the “X” or Figure 8 pattern. This pattern is used to support injured tissues typically associated with acute ankle sprain or strain. The X-Fit is advised after acute injury management and has slightly less bulk than the Full Ankle Helix. 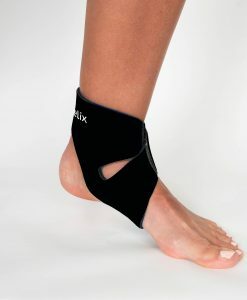 The Full Ankle Helix provides uniform compression typically desired for acute and chronic injury management and injury prevention and provides support to a larger area of the ankle than the X-Fit. The Full Ankle Helix is generally the product of choice unless less bulk or less support is desired. Extra Large – Circumference: greater than 14.5", Extra Small – Circumference: 9" to 11", Large – Circumference: 13.5" to 14.5", Medium – Circumference: 12.5" to 13.5", Small – Circumference: 11.0" to 12.5"
Thanks for keeping ME moving! I also have the ankle supports for plantar fasciitis and I used the knee brace when I tore my meniscus. I was able to play through the season until knee surgery. 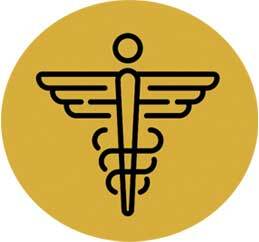 I continued to use it post-op to aid in healing/recovery. I was back on the courts at full speed within 7 weeks. I really believe in your products and tell everyone! My son's doctor recently recommended Body Helix for an issue with his tendons and it works amazingly well. He is an Irish dancer, so he hammers his feet and ankles all week and the compression sleeve is definitely up to the challenge. It is flexible enough that it doesn't restrict his movements too much, but strong enough that it holds him steady. It fits in his shoes and the fabric is great and feels great on his skin (other than needing to put it inside out as a few others have mentioned). The only downside I can find is that his little foot gets awfully hot in there, but hot feet are a small price to pay for comfortable, healthy ankles. Also worth mentioning... this is one of the few braces we could find that was small enough for his tiny feet. 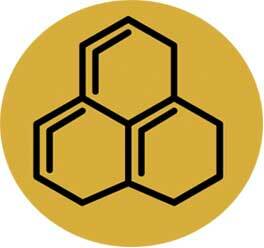 We are very pleased and will definitely keep using Body Helix products. The Body Helix Ankle compression sleeve helped me gain confidence as I began working out again after a ligament tear in my ankle, which led to a weak ankle with restricted motion. It provided me with great compression and stability so i could get back to my Zumba and Pilates classes. It helped me gain my ankle strength back and I would highly recommend it to anyone looking for increased ankle support/compression. It’s easy to slip on and off and much better than anything that i have personally come across in the market. Also, it comes in beautiful colors too to match ur gym attire. ;). Too hard to get on and off. Too thick; doesn't fit well in my shoe. This was recommended to me by my orthopedist who probably thinks I was going to be more active coming out of my broken ankle than I am. Five months after a traumatic ankle break of bone leg bones, my doctor recommended the Body Helix full ankle sleeve. It works well to help alleviate some of the pain. But the one problem I had was that it rubs a big blister at the top of the heel opening, where the stitched seam comes down the back of the sleeve. It didn't matter if I wore the sleeve over a sock or directly on my skin. Disappointed in that unexpected issue.